This large piece of driftwood refuses to be overtaken by this sand dune on the southern Oregon Coast. Superb glowing light inside the driftwood, wonderful shadows, comp and I love the lines in the sand! Superb shot! I love the colors and shadows. This is superb! Dynamic colors, love the composition - one outstanding photo!! 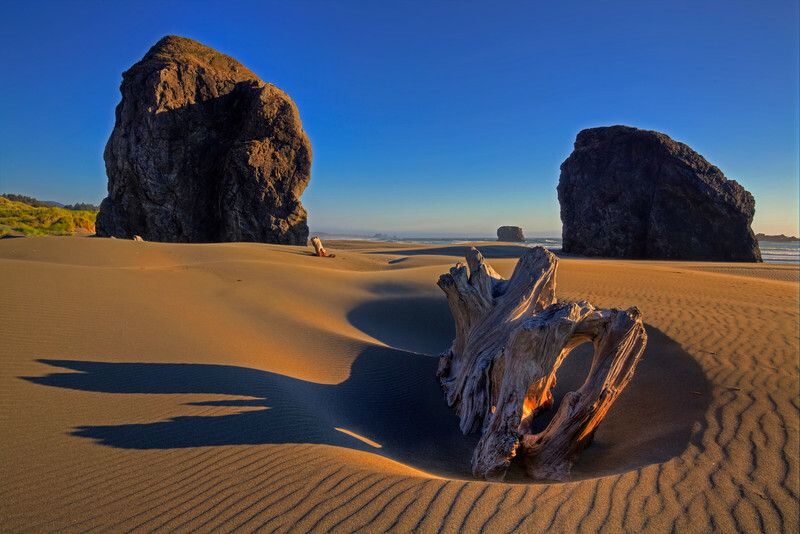 Gorgeous...love the shadows and sand patterns and the great light on the driftwood! This is amazing. Such beach wind sculptures are so ephemeral. The afternoon shadows are all part of a work of nature's art, which comes, and then is gone, in mere moments. But your image preserves its magic.